Rembrandt, History Painter, Museo Nacional del Prado, Madrid, 2008-2009. 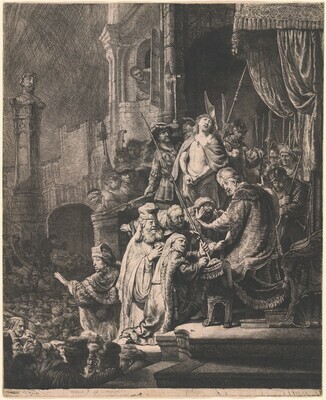 Rembrandt and the Face of Jesus, Philadelphia Museum of Art, Philadelphia; The Detroit Institute of Arts, Detroit, 2011-2012, no. 17A.